We invest in training that pays dividends for our clients. Our staff are our most valuable asset. That’s why we invest time, money and effort to develop their skills, which in turn improves the quality of our service offering. All of our production and technical workforce are CSCS accredited and provision to attain this is provided by the Company. All employees attend in-house Health, Safety and Environmental Awareness Training to keep them up-to-date with the requirements in respect of legislation and the Company’s policies and management systems. We also encourage all staff to attend company CPD events in order to gain professional status and to improve their continuous professional development. We consistently recruit up to six apprentices and six technical trainees on an annual basis throughout the group, all of which participate in fully recognised apprenticeship training schemes. We work closely with local schools and colleges from Year 10 and 11 students upwards about the opportunities for a career in the construction industry. This includes providing mock interviews, site tours, work experience and presentations from our trained in-house Construction Ambassadors. 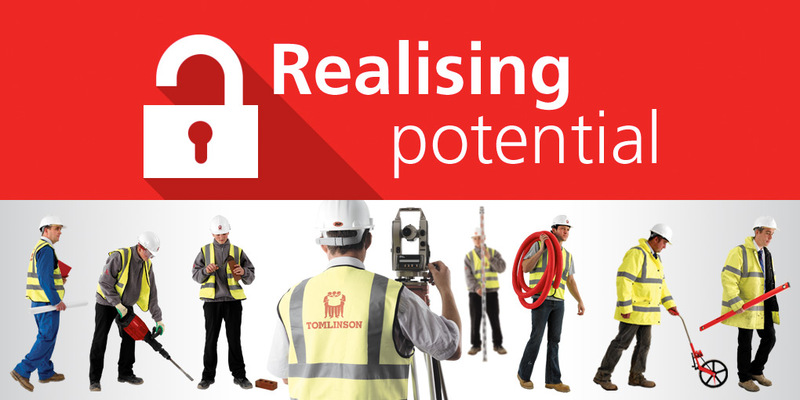 G F Tomlinson is committed to supporting staff development, effective succession planning and career management.